Using stop-gap measures, engineers are attempting to plug up highly radioactive water that has been pouring into the ocean which appears to be coming from the damaged No. 2 reactor at Fukushima Daiichi, which contains one million Becquerels per liter of iodine 131, or about 10,000 times levels normally found in water at a nuclear facility. Concrete failed to stop the tainted water spewing from a crack in a maintenance pit, and a new mixture of chemicals, sawdust and shredded newspapers appears not to be working either. Officials said it will take several months to bring the crisis under control, the first time they have provided a timetable. 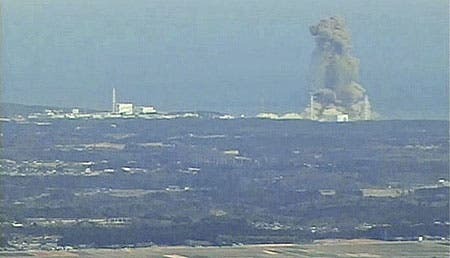 The Fukushima Da-ichi plant has been leaking radioactivity since the March 11 earthquake generated tsunami swept waves of destruction along Japan's northeastern coast killing as many as 25,000 people, and knocking out key cooling systems that kept the facility from overheating. People living within 20 kilometers of the plant have been forced to abandon their homes. The government said Sunday it will be several months before the radiation stops and permanent cooling systems are restored. Even after that happens, there will be years of work ahead to clean up the area around the complex and figure out what to do with it. 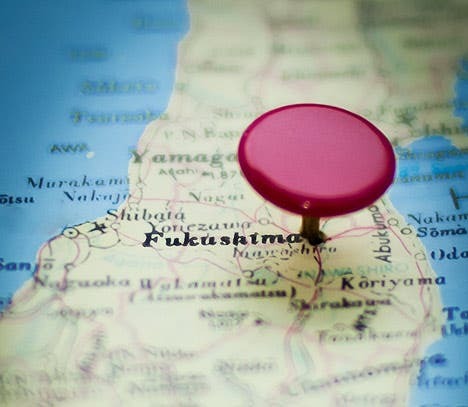 "It would take a few months until we finally get things under control and have a better idea about the future," said Nuclear and Industrial Safety Agency spokesman Hidehiko Nishiyama. "We'll face a crucial turning point within the next few months, but that is not the end." His agency said the timetable is based on the first step, pumping radioactive water into tanks, being completed quickly and the second, restoring cooling systems, being done within a matter of weeks or months.